At one northern golfing destination, Patriot Golf Day is teeing up all weekend long each year. Folded, the American flag lies heavy in the hearts of those who have sacrificed for this country. It is an image that conveys honor, and for a nonprofit organization dedicated to providing educational opportunities to the families of American heroes, the symbol also gives hope to the bearers of their legacy. The Folds of Honor Foundation is known today as a national movement striving to close the financial gap to the more than one million dependents impacted by war, and as of spring 2015 has awarded more than 10,000 scholarships to the children and spouses of fallen or disabled veterans or active military members serving the nation. However, its origins began with a single tee-off and a visionary commitment. Folds of Honor’s cornerstone fundraising event—Patriot Golf Day—was initially established in 2007 on the greens of Grand Haven Golf Club by Major Dan Rooney, who served as a F-16 Fighter Pilot in the Oklahoma Air National Guard. Since its first golf swing, the event has expanded to more than 5,200 courses nationwide and is sponsored by the PGA of America and United States Golf Association. For one northern Michigan golfing destination, what began as a single donation jar in 2007 has evolved into a weekend-long event honoring veterans and active service members, while also supporting the Folds of Honor Foundation. 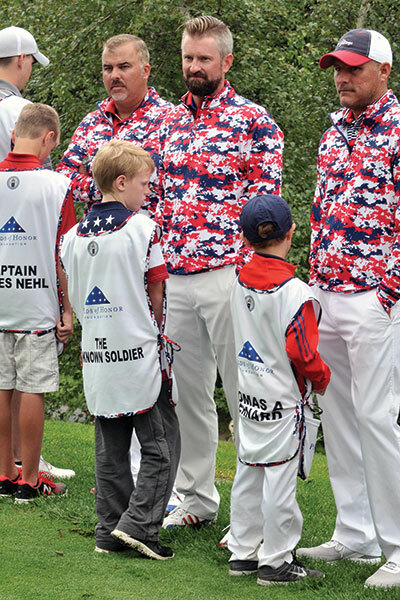 Kevin McKinley, PGA director of golf and ski operations at Gaylord-based Treetops Resort, said having grown up in West Michigan, not far from where the military family that inspired Major Dan Rooney to establish Patriot Golf Day, the story hit close to home. The events of that day inspired Major Rooney to form Patriot Golf Day and McKinley said he immediately wanted to become involved after hearing the story at a PGA meeting. While his initial idea included turning an existing golf tournament that takes place over Labor Day weekend into a fundraiser for the nonprofit organization and “that would be the end of it,” the event has grown during the last decade to include a weekend getaway for soldiers of veterans. Treetops Resort has officially hosted the Patriot Golf Day Shootout since 2008 and the event takes advantage of the golfing destination’s 81 holes of championship golf by utilizing three of its five distinctive courses: the Tom Fazio-designed Premier course, the Signature course, and Threetops. The Patriot Golf Day Shootout not only raises money for the Folds of Honor Foundation, but also provides an opportunity for veterans and active service members to stay at the resort for free from Thursday through Sunday of Labor Day weekend and participate in the golfing event. McKinley said there is a section on the resort website where family and friends can donate to the charity, which also acts as payment for the soldiers and their families to stay at Treetops. The donation not only funds the resort stay, dining, and entry for the golfing tournament, but also any financial contribution above the overall cost is then allocated directly to the Fold of Honor Foundation. As of today, the Patriots Golf Day Shootout begins with the arrival of military golfers and their families on Thursday and an entire day dedicated to them on Friday, which is hosted on the Threetops, a nationally ranked, par-3 course. The military golfers play in an elimination shootout where the worst score is eliminated from each hole, until whoever is left with the best score on the ninth hole, wins the Patriot Shootout, according to McKinley. 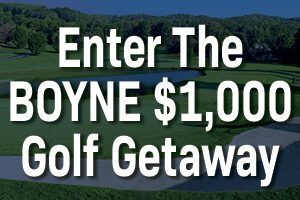 The golfers are then invited to participate with their caddie or partner in the subsequent two-day event, which includes a two-person Scramble and Fourball. McKinley noted it is only once an individual witnesses the event firsthand that it does justice to how meaningful it is to certain people and what is accomplished in one weekend. “The message to veterans or actives who have served our country or are still serving our country is to reach out to me so I can try to have them up here for this event,” said McKinley. McKinley, who is a three-time winner of Michigan Section’s Patriot Award, discovered his passion for the golfing industry at a young age when his father put a golf club in his hand and has spent his professional career pursuing the sport. While he briefly had a change of heart during college and studied accounting at Alma College in Michigan, he ended up returning to the golf course to become a PGA Professional and never worked a day of accounting in his life. Noting the game has a tendency to bring out the best in people, McKinley said he also likes the diversity of people he encounters on a daily basis while working in the resort setting at Treetops. McKinley has served as the PGA Director of Golf and Ski at Treetops for more than a decade and has previous experience working at Crystal Mountain Resort and Pine River CC. He served the Michigan PGA concurrently for more than 10 years and founded Treetops Resort’s Junior League and Get Golf Ready programs.